2015 was the year: We FINALLY took domestic violence seriously. In January this year Rosie Batty was named the 2015 Australian of the Year. It was a watershed moment. A historic turning point. It marked the beginning of a national conversation about domestic violence that had previously eluded us. It brought family violence out of the shadows. It cemented DV as a topic that politicians, the media and ordinary Australians could no longer easily ignore. Through the most tragic of circumstances Rosie Batty was propelled into the public consciousness in February of 2014. Her only son Luke was killed at the hands of his father while his mother waited by the cricket nets just metres away. In the face of this unimaginable horror stood a woman of unimaginable resilience. 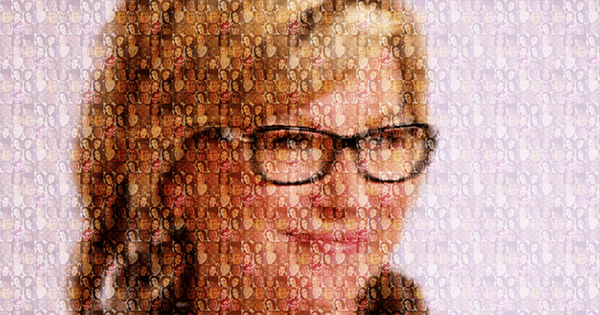 Rosie Batty etched her way into the hearts and minds of Australians, not simply for enduring the trauma she did, but for becoming a courageous and unwavering anti-family violence advocate in spite of it. She was articulate, educated and determined: her beloved son Luke’s death was not to be in vain. Domestic violence was not to be ignored. In the aftermath of the grief that befell her she was resolute; about speaking out about domestic violence, about demanding systemic changes, about seeking reforms to the courts system and about asking for leadership, compassion and understanding from all Australians about this complex and insidious scourge. Rosie Batty was not the first Australian woman to lose a loved one at the hands of domestic violence nor was she the last. But she was the first Australian woman who managed to put domestic violence firmly on the national agenda because of it. Her voice resonated. Her calls for action were heard. The excruciating truth in her observation that “Prior to Luke’s death no-one wanted to hear my story of living with violence. Now everyone does” made us stop. Rosie’s fierce and unwavering advocacy for ending domestic violence earned her the Australian of the Year honour. Her fierce and unwavering advocacy, combined with the platform that national honour entails, ensured the national interest in DV wasn’t fleeting. She is the reason that 2015 was the year Australia started taking family violence seriously. The year that, finally, some of the things that those who work on the DV frontline have been wanting for decades, started to happen. A team of researchers worked with Destroy the Joint to maintain a count of all the women killed violently in Australia in 2015. The mainstream media began reporting these numbers as a matter of course and media outlets, big and small, began campaigning for change. Fairfax, News Limited, The Monthly and the ABC, were among the media players that invested heavily in consistent, sensitive and comprehensive reporting on this issue. Q & A dedicated two entire episodes to family violence this year. Sarah Ferguson spent six months on the front line of DV – in refuges, in prisons, in courts, with police – making Hitting Home. Large companies including Telstra, Ikea, Virgin, NAB and McDonald’s, introduced domestic violence leave for employees and business leaders began regularly engaging in the subject. The federal government convened a COAG advisory panel with Australia’s leading DV experts including Julie Oberin, Heather Nancarrow, Tracy Howe and Bess Price to advise on policy to reduce violence against women and children. The people who understand this issue better than anyone else, finally have a seat at the decision-making table. Slowly but surely, this year has seen some of the myths about family violence dismantled. There has been resistance and there are sceptics, of course, but the domestic violence narrative is shifting. It is not just an issue for “poor people”. It is not just about physical violence. It is an issue that is deeply rooted in power, control and inequality. There is an increasing understanding that this terrorism is killing women every single week. In their homes, in their cars: in our backyards. There is push back on the instinctive “Why doesn’t she just leave?”. Slowly more of us are beginning to recognise that “Why is he violence?” is the more pertinent question. There is push back when ‘road rage‘ is used to describe the brutal murder of a woman on a public street. These changes might seem small but together they are monumental. But these changes haven’t stemmed the number of women killed, hospitalised or traumatised by family violence this year. They haven’t reduced the number of children living in fear. The monumental challenge now is to seize this raised awareness and translate it into action. Eliminating domestic violence will not happen by accident, nor through raised awareness alone. We need to treat this violence with the same urgency, the same leadership and the same unequivocal commitment that we provide any threat to national security. We need to invest in prevention, in education, in providing support for victims. We need to ensure that there are safe refuges for victims to attend. We need to ensure that the 1800 RESPECT line is funded so that there is not a single call for help that goes unanswered. We need to ensure police and courts are trained and resourced to adequately protect and support victims. We need to ensure that no police officer ever suggests that a victim seek help elsewhere. And we must be relentless in the pursuit of changed attitudes. We need to stop asking women why they don’t leave and start understanding the dynamics that keep them trapped. We need to be vigilant in educating young men and women about respectful relationships. We need to make attempts at control the red flag of all red flags. We need to focus on why men are violent and how we can stop it. We need to stop dismissing brutal acts of violence as ‘road rage’ or men blowing off steam. We need to stop apologising for violent men. We need to stop excusing it. If we can do all of that, then 2016 just might be the year we begin to stem domestic violence. And wouldn’t that be a year worth celebrating?